Download the Tutorial in PDF Format here. Or just review it online below!! 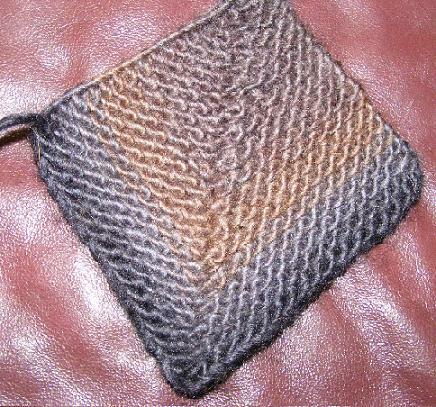 Mitered squares are one technique that is part of modular knitting. In modular knitting squares, strips, triangles and other pieces are knit separately and then joined together to make garments, or household items. Mitered squares can be used to make rugs, bags blankets pillows and on and on! 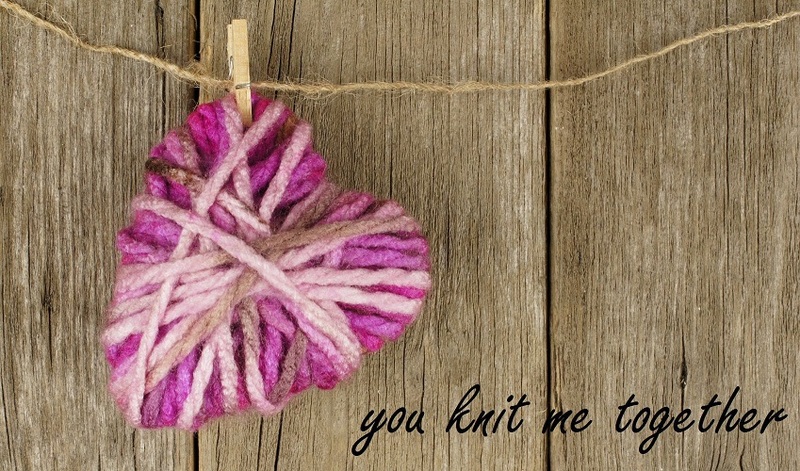 They are also a great way to use up bits of different color yarns and get those leftovers out of your stash! Mitered squares are generally worked all in garter stitch. In needle knitting even rows are worked plain; on each odd row, a double decrease is worked at the center — this creates the square. For loom knitting, to create garter stitch, knit and purl rows are alternated and the double decrease can be made easily on the knit row. Mitered squares are spectacular when knit with self striping yarn, like Noro Kuryon, or Patons SWS. The color gradations add a colorful look while highlighting the miter technique. Now letâ€™s get down to the knitty gritty! To loom knit mitered squares is easy. The same technique can be used on any gauge loom, by simply matching up your yarn gauge with the loom gauge. The technique is made easier when using an adjustable loom with an adjustable end piece having one or three pegs, but as you will see below an adjustable loom is not necessary. To make a basic mitered square, start with an odd amount of stitches. (If you are using and adjustable loom, you will want the center stitch to be the center peg of the adjustable end piece.) Mark your center stitch with a stitch marker if needed. You may cast on any style you wish, I generally go for the fast and easy e-wrap cast on as in this project, as the loopy edge will tend to disappear. Move the loops on the pegs on either side of the center peg onto the center peg, so that there will be 3 loops on this peg. (For uniformity, be sure to move the stitches in the same order each time you decrease.) Move the other stitches in toward the center stitch as needed, so that there are no longer any empty pegs. Then knit the row. This in shorthand would be K3Tog. On the next row Purl. Continue working the two rows one even, one with a double decrease at the center, until there are only 3 stitches remaining. On the last row simply K3Tog, and break yarn and pull the tail through the remaining stitch to secure. Yes it is just that easy! You can even use neat garter stitch trick of e-wrapping the row, and then turning and knitting then purling on each peg as you come back up the row, to make it go even faster! To join a row of mitered squares together without seams is easy too! Once you have one square done, hold it on the inside of the loom with the wrong side (if there is one) facing you. Place the loops from half of the upper edge of the square on the loom with the starting from the stitch just to the side of the intended center peg out. ( I tend to place them to the right of the center peg) Cast on the remaining number of stitches needed, by again using the e-wrap cast on. Start wrapping at the center stitch, go away from the square that you picked the stitches up from, wrap to the end, turn and wrap your way back to the other end of the picked up stitches from the other square. Purl the next row, and proceed normally for the basic mitered square! If you are ready for a little more adventure try the mitered corners dishcloth in the patterns section!! I have been looking for this pattern. I can do the pinwheel but have been looking for the square. Thanks for sharing.